The Sweet Dreams Dreamatic 4' Adjustable Bed features a superb five-action motion which operates at the touch of a button. Complete with a supersoft supersoft mattress with Reflex® foam fillings that is covered in a removable, dry-clean-only cover in knitted fabric, this motorised bed has an optional massage unit. This model comes with a laminated beech slatted base. The Sweet Dreams Dreamatic 4' Adjustable Bed features a Superb, Five-action Motion which operates at the touch of a button and is available in Five Sizes: small single, single, small double, king size and super king size. Complete with a Supersoft Mattress with Reflex® foam fillings and a Removable Knitted Cover, this motorised bed has an Optional Massage Unit for added comfort. 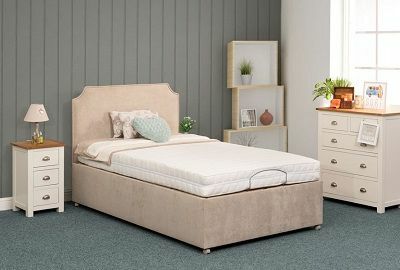 The Sweet Dreams Dreamatic Small Double Adjustable Bed comes with a Laminated Beech Slatted Base that is available in Five Divan Options with a Choice of Drawer Storage. 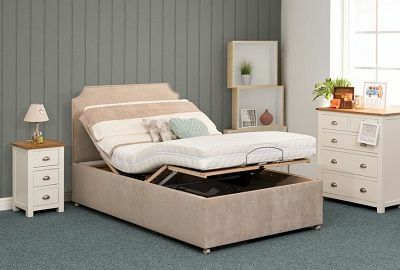 With the added benefit of Free Delivery throughout our Free Delivery Zone that includes Northern Ireland and Counties Monaghan, Louth and Dublin, this electric adjustable bed also comes with a 1 Year Guarantee. Competitive delivery rates available across the rest of Ireland.